5 from the best music venues Archi-new - Free Dwg file Blocks Cad autocad architecture. Archi-new 3D Dwg - Free Dwg file Blocks Cad autocad architecture. Our top five music venues, where architecture is as good as the music on stage! Read on for the fifth instalment in our series of articles looking at the best examples of architecture in our everyday lives. This week's 5 of the best looks at music venues. Music is seen as an important part of our everyday life and most of us listen to it on a daily basis, on our computers, phones or on the radio. It's fair to say that nothing compares to the real thing, and listening to your favourite musician in the flesh can be a memory that's treasured forever. In light of theBRITs Awards 2015 nominations being announced today, we've picked out some of the best music venues in the UK - in no particular order! Below are some of our favourite venues where the building can have as big an impact on you as the music on show. 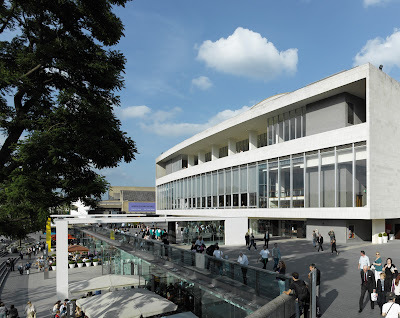 Starting our list is the Royal Festival Hall in London. Built in London as part of the Festival of Britain, the Royal Festival Hall was the first post-war modernist building to be Grade I listed in 1988. 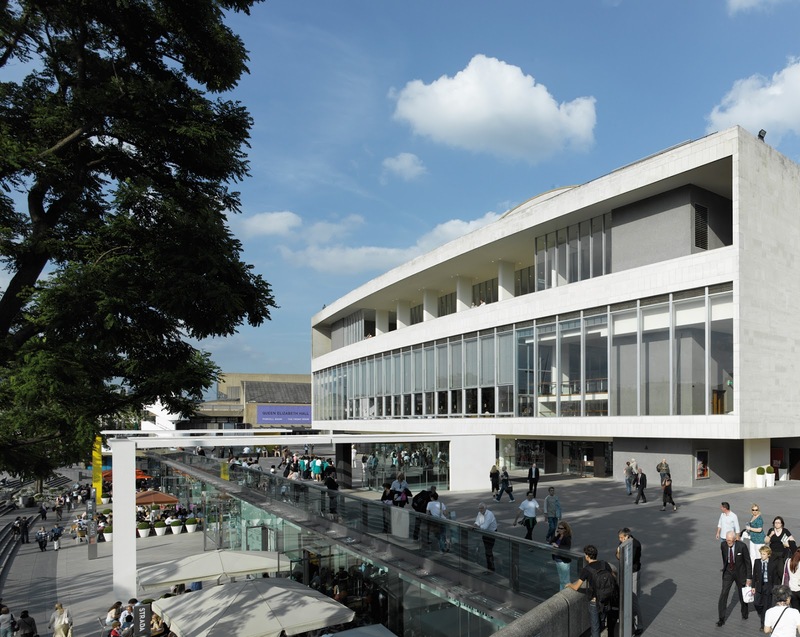 Found at the heart of the Southbank Centre on the River Thames, the Royal Festival Hall is a truly public building. Members of the public are welcomed to enjoy the space and soak up the atmosphere regardless of whether they have a ticket or not. he Royal Festival Hall was the most visible and successful modernist building (as well as the biggest!) in the country when it was first built. It underwent restoration from house architects Allies and Morrison Architects in 2007, work that led to it being shortlisted for the 2008 RIBA Stirling Prize. The restoration cleared the interior and moved the overload of offices, cafes and bookshops to the exterior. This led to a focus on making the building the light and open public space that it was originally intended to be. This clear up alone led to up to 35% of its total square footage being freed up! The auditorium also featured in the restoration, where the wall panels were removed and adjusted to improve acoustics. A sail that tilts back and over the stage was also introduced, which helped both improve the experience for both the audience and the performers. The Clyde Auditorium in Glasgow is the next venue featured on our list. The auditorium is seen as one of Glasgow's most iconic buildings, and its curves are a real Glasgow landmark. Completed in 1997 and affectionately nicknamed 'the Armadillo' by Glaswegians, the auditorium was designed by award winning architects Foster + Partners. The building design portrays an interlocking series of ship's hulls, and represents Clyde's rich shipbuilding heritage. Inside, the building is flexible which ensures that it can accomodate a wide range of events, including the capacity to allow large trucks to be driven on stage! The Union Chapel is next up on our list. Still a fully functioning church, the Union Chapel is a music venue and charity drop off centre on its days off. As a venue, the Union Chapel has been voted Timeout readers best music venuein both 2014 and 2012, and has featured successful artists such as Tom Jones, Beck and Laura Marling. Built in the late 19th Century, the gothic style building was saved from demolition in the 1980s due to community campaigning. The Union Chapel Project was formed as a charity to restore and maintain the building and welcome a diverse group of people, no matter their religion. The building is another venue featured in our 5 of the best that is Grade I listed. The uniqueness of a Victorian Gothic music venue with incredible acoustics and pews for seating ensures that the Union Chapel will be a favourite for years to come. The RNCM joins our list despite being a centre of music education first and foremost. However, the world class professional performance spaces, that members of the public can visit and enjoy, makes it a worthy addition to our list. The RNCM holds a theatre and recital room, studio theatre and a concert hall, and is one of only four conservatoires associated with the Associated Board of the Royal Schools of Music. The college traces its roots back to the late 19th Century and the establishment of the Royal Manchester College of Music. The RNCM officially formed in 1972, and Oxford Road has been its home since 1973. An extension to the RNCM was completed in 2007, and linked the college's existing drama, music and opera theatres. The high profile and bright facade is not only open and inviting, but also works as a buffer to external noise such as traffic. The atrium in the building ensures that natural light is maximised as much as possible, and continues the facade's open and welcoming theme. Last but not least is the Barbican Arts Centre in London. A performing arts centre that is the largest of its kind in Europe, it hosts film screenings, theatre performances and art exhibitions as well as classical and contemporary music concerts. Seen as a landmark because of its sheer scale and ambition, the centre is located at the heart of the urban Barbican Estate. Owned by the City of London Corporation, the centre was built as The City's gift to the nation, and was officially opened by Queen Elizabeth II in 1982. Now a grade II listed building, the centre is world-renowned for its brutalist architecture. Architecture practice Allford Hall Monaghan Morris oversaw a significant refurbishment in 2005-2006, and introduced brutalist style signage and improved circulation around the building. The centre's Silk Street entrance, was changed to give better pedestrian access. The Barbican Centre is a worthy addition to our list, and is a building that gives you the opportunity to explore an iconic landmark and enjoy a wide range of music.